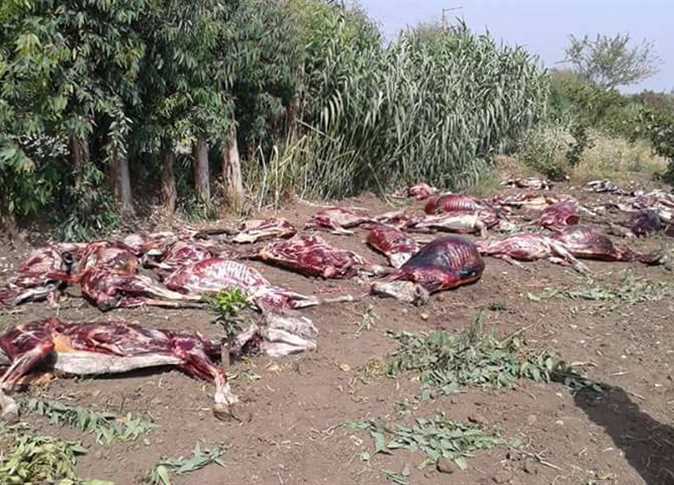 Berket al-Sabaa municipal council, headed by Yasser al-Guindy, announced that a huge number of slaughtered and skinned donkeys were found on a road behind the ambulance station. In a press release on Wednesday, Guindy said all measures were taken. A team of the veterinary department as well as employees from the food supply department headed to check these animals and take precautionary measures. Authorities in question were addressed over the issued. Guindy said the slaughtered donkeys must be removed safely by burying them somewhere that will not harm people or the environment. According to statistics released by the Agriculture Ministry in 2015, there are 2.5 million donkeys in Egypt, mostly concentrated in Monufiya, Beni Suef, Damietta, Gharbiya and Minya. China is the main importer of donkey skin, which is used as an aphrodisiac there; the Gulf countries spend $15 billion on sexual stimulants that are extracted from donkey skin. In Egypt, donkeys are used as farm animals for carrying heavy loads and walking along narrow paths that other animals cannot manage. “Gelatin produced from donkey hide is a key ingredient in one of China’s favorite traditional remedies, known as ejiao, which is used to treat a range of ailments from colds to insomnia,” CNN reported in September. China mainly imports donkeys from Africa; however, the trade has caused environmental problems, as well as an imbalance in the economy of many African countries, including the Niger and Burkina Faso, according to CNN.